Jacqueline Endlich, CRPC®, AIF®, branch manager for Prosperity, has been named one of only four "Commonwealth Mentors" in the April 2012 issue of the award-winning Commonwealth Business Review. Her inspirational story and successful year in 2011 has distinguished her amongst her peers and will be used as a model example for other Commonwealth advisors. Learning is a lifelong process, and participating in the exchange of ideas, best practices, and inspiration with our peers can help us thrive. This year, as part of the Commonwealth Mentor Program, which launched in 2011, this column will feature stories of advisors who have experienced significant growth in their businesses. The advisors may be solos or ensembles, top producer meeting qualifiers or those in the early stages of business development. Every advisor has a story to tell. What’s yours? Jacqueline Endlich, AIF®, CRPC®, of Prosperity, LLC, in Danbury, Connecticut, grew revenue by 42 percent last year, in large part by listening to clients and delivering what they needed. After working at a larger firm where revenue was the primary focus, Jacqueline and her partners took a leap of faith and brought their client-centered philosophy to Prosperity. In the nearly seven years since, they have built a firm that thrives on the tenets of personal attention, strong interpersonal relationships, cost-effective and suitable products, and fee transparency. Danbury, Connecticut based Prosperity Financial Services Group participated in the 2012 Down Syndrome Association of the Hudson Valley Golf Tournament on Thursday May 24, 2012 at The Links at Unionvale in LaGrangeville, New York. The mission of the Association, started by a collection of parents in the 1980’s, is to improve education for students with Down Syndrome, provide support to new parents, increase community awareness of Down Syndrome and enhance employment opportunities for people with Down Syndrome. To get involved and learn more, visit www.dsahv.org. 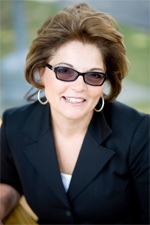 “Being the grandmother of a child with Down Syndrome, I, and my partners at Prosperity, are proud to support the Down Syndrome of the Hudson Valley’s endeavor to provide outreach and support to families in our community.” said Jacqueline Endlich, founding partner and Financial Planner with Prosperity Financial Services Group in Danbury. “We thank them for continuing to raise awareness and for working so hard to ensure children living with Down Syndrome in our community are being given the opportunity to lead successful, independent lives.”There are more than 400,000 people living with Down Syndrome in the United States today and approximately 7 million people living with Down Syndrome worldwide, and it remains the most common chromosomal condition in the country, affecting approximately 1 out of every 700 infants born. Prosperity Financial Services Group is located at One Reserve Road in Danbury, Connecticut. Phone 203-791-3995 - http://www.prosperityfsg.com. Securities and Advisory Services offered through Commonwealth Financial Network, Member FINRA, SIPC. A Registered Investment Adviser.